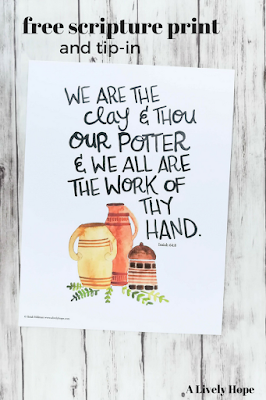 "We are the clay and thou our Potter and we are all the work of thy hand." Free watercolor print and tip-in for Isaiah 64:8. 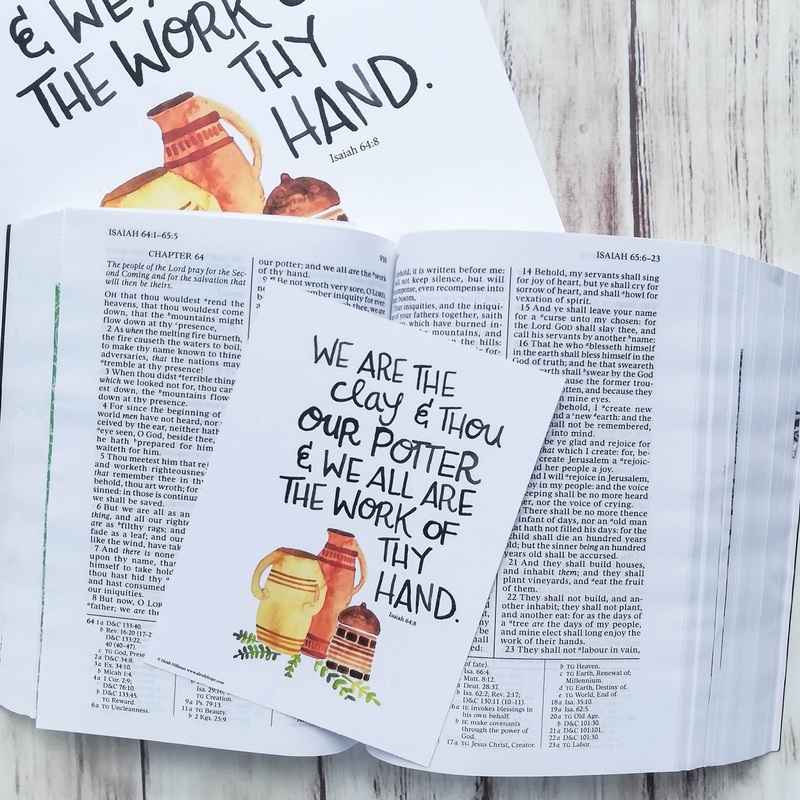 This hand-lettered print is perfect to hang in your home, to hand out at church or to use in your bible or scripture journal. 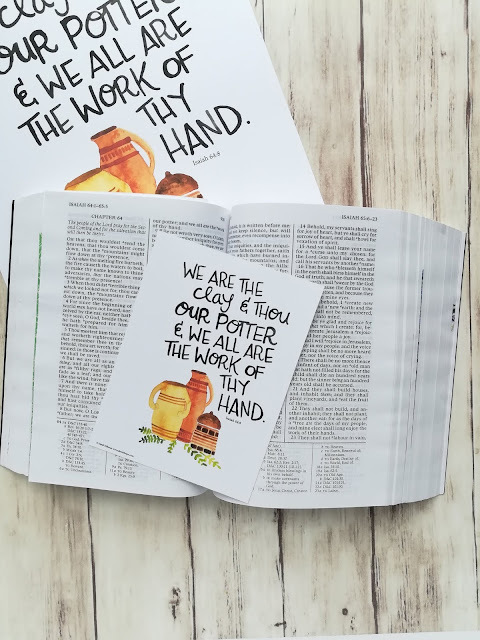 I love this verse. As I look back through my life, I can clearly see instances when God has been shaping me. Molding me into the person I need to become. I'm obviously still a work in progress, I have so much to learn and so far to go. 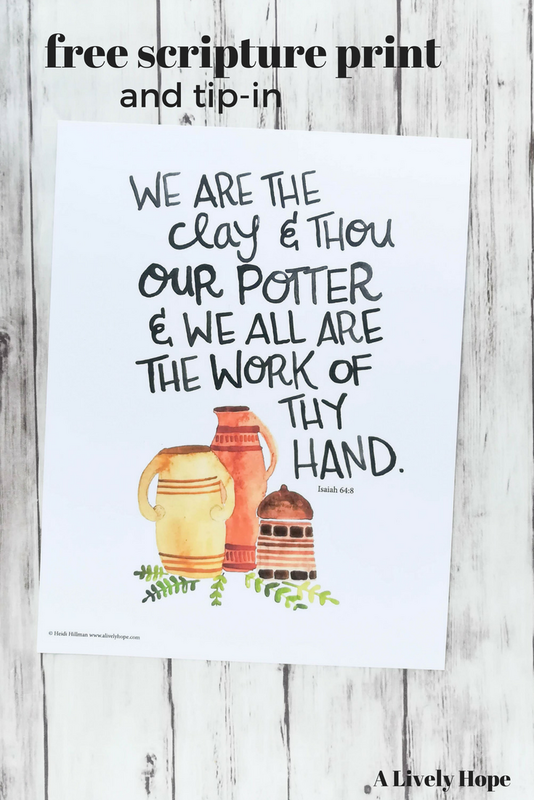 But I am grateful for the knowledge that the Master Potter is shaping me and the experiences I go through so that I may become, eventually, the person He's planned for me to be. 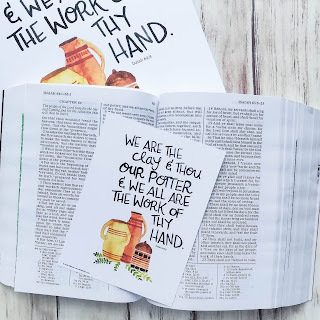 This hand-lettered, watercolor print comes in two sizes: 8.5 x 11 inches and a quarter page size.